Here's All the Merch You Need to Show You're Part of Gorilla Nation! How Your Gorilla Pride Year Round With a Badass Black Hoodie! Add to Your Order Today! The black Badass Gorilla Hoodie looks great on everyone - man, woman or beast! This must-have will take you from chill summer nights straight through winter's deep freeze. Get yours now! 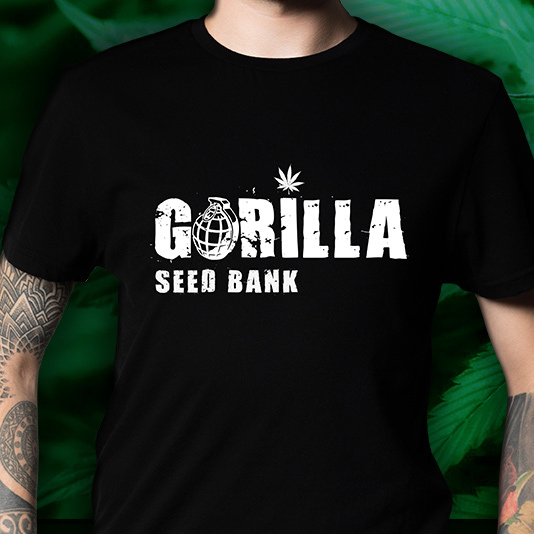 Show your love of Gorilla Seeds with this stylish black T featuring one of our most popular logos. It makes a great gift, too!